Robert E. Pattison, Governor of Pennsylvania, 1883-1887, and 1891-1895. When elected governor in 1894 Daniel Hastings succeeded Robert E. Pattison, the only Democrat to win election to the office between 1860 and 1934. 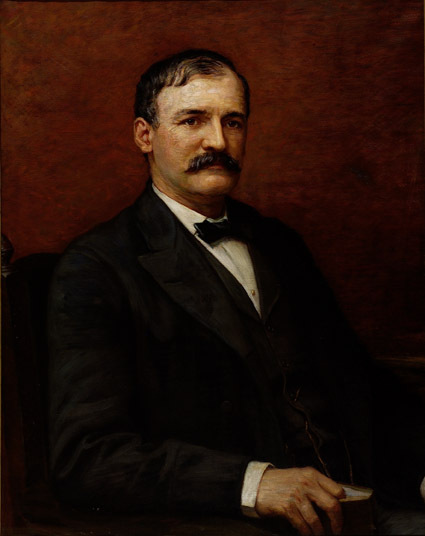 Pattison had won the office in 1882, then won re-election in 1890 when voters again bolted to the Democratic candidate after Republican state boss Mathew Quay had engineered the nomination of George Delamater, a banker so closely linked with John D. Rockefeller's Standard Oil Company.